The Orlando area has many world famous local attractions, plus golfing, shopping, stunning beaches and nature experiences. 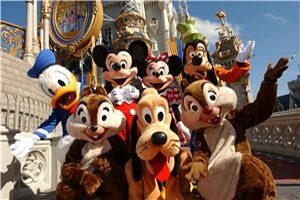 The Walt Disney World Resort is the world’s largest and most visited recreational resort. 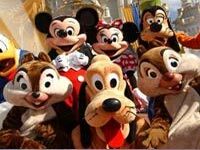 It covers a 30,080-acre (47.00 sq mi; 121.7 km2) area just southwest of Orlando, Florida, USA and has four theme parks, two water parks, 24 on-site themed resort hotels (excluding 8 that are on-site, but not owned by the Walt Disney Company), including a campground, two health spas and fitness centers, and other recreational venues and entertainment. 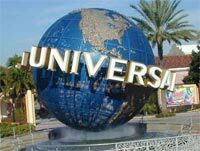 Universal Orlando Resort is the largest property owned by Universal Studios Theme Parks; it is also the second-largest resort in Greater Orlando, after the Walt Disney World Resort. SeaWorld Orlando is a theme park, and marine-life based zoological park, near Orlando, Florida. When combined with its neighbor Discovery Cove and the Aquatica waterpark, it forms a larger entertainment complex devoted to Earth’s oceans and the array of life that inhabits them. The theme park is one of America’s largest zoological institutions, with more than 2,700 animals. 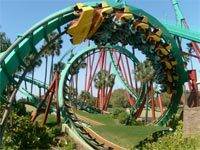 Attractions include: Rhino Rally, Montu, Kumba, Scorpion, Gwazi, Edge of Africa, cheetah chase, congo river rapids, Tanganyika Tidal Wave, Stanley Falls, Serengeti Railway, Phenoix, also Sesame Street, and SheiKra, a vertical dive coaster which opened in 2005. 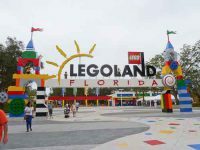 The 150 acre park offers rides, shows and characters based on the Lego toys. 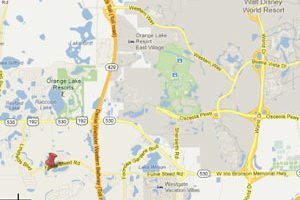 Located at Winter Haven, aproximately 40 minutes from Sunset Lakes. Glide through the wetlands on a beautiful Florida wildlife tour. 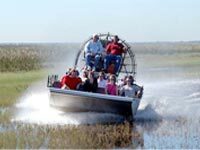 Our airboat tours start with a leisure idle down a natural canal viewing exotic birds, turtles and the Florida alligator in their own natural environment. Then you will fly like the wind into the swamps experiencing the awesome feel of an airboat ride traveling up to 45 miles per hour. Boggy Creek Airboat Rides is the best way to experience the beautiful Central Florida Everglades. We offer 3 airboat tour choices. 30 minute airboat ride on 17 passenger airboat, 45 minute private airboat tour on 6 passenger boat & the 1 hour night airboat ride. The best time to see alligators when it’s warm is first thing in the morning and at night. 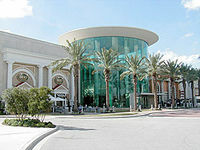 The Florida Mall is a large enclosed shopping mall in Orlando, Florida. The mall has over 250 stores, including its anchors Macy’s, Dillard’s, Sears, JCPenney, Saks Fifth Avenue, Nordstrom, and The Florida Hotel. At 1,849,000 ft² (179,778 m²) , it stands as one of the largest single-story malls in the United States. The John F. Kennedy Space Center (KSC) is the U.S. government installation that manages and operates America’s astronaut launch facilities. 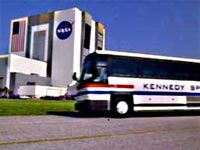 KSC is a major Central Florida tourist destination and is approximately one hour’s drive from Walt Disney World and other theme parks in the Orlando area. The Visitor Complex offers public tours of the center and adjacent Cape Canaveral Air Force Station. Because much of the installation is a restricted area and only nine percent of the land is developed, the site also serves as an important wildlife sanctuary; Mosquito Lagoon, Indian River, Merritt Island National Wildlife Refuge and Canaveral National Seashore are other features of the area. These include six PGAs. The golf courses include Orange Lake golf, Celebration golf and Falcons Fire golf. 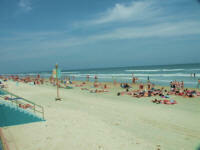 On both the Gulf and Atlantic coasts these include Clearwater beach, Daytona beach and Cocoa beach. There are many local food shops for you to choose from nearby to the Sunset Lakes Community. Catering for a wide range of tastes and budget, some of which are open until as late as midnight. In case medical assistance is needed, the Sunset Lakes community has a nearby medical centre.